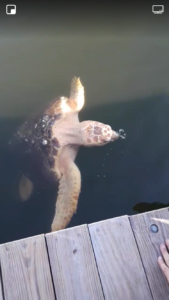 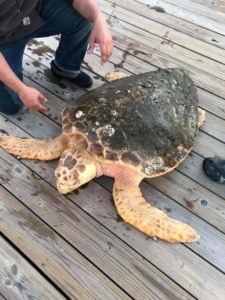 At Cobb’s Marina, we’re used to hauling boats out of the water, but on November 19th we hauled something new to our business: a loggerhead turtle that got lost on its way to warmer waters. 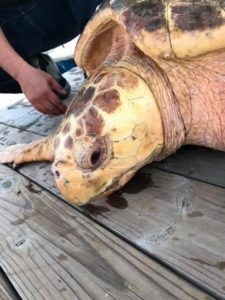 Thanks to the quick thinking of Mike Cobb, Lonnie Todd, and family friend John Arroyo III, they were able to pull the turtle out of the water and made a call to the stranding team at Virginia Aquarium, where he was sent for rehabilitation. 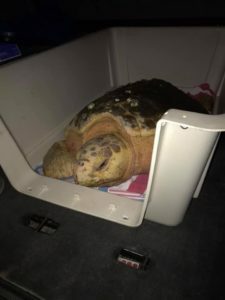 We’re keeping in contact with the aquarium constantly and hear that Kellam is recovering quickly! 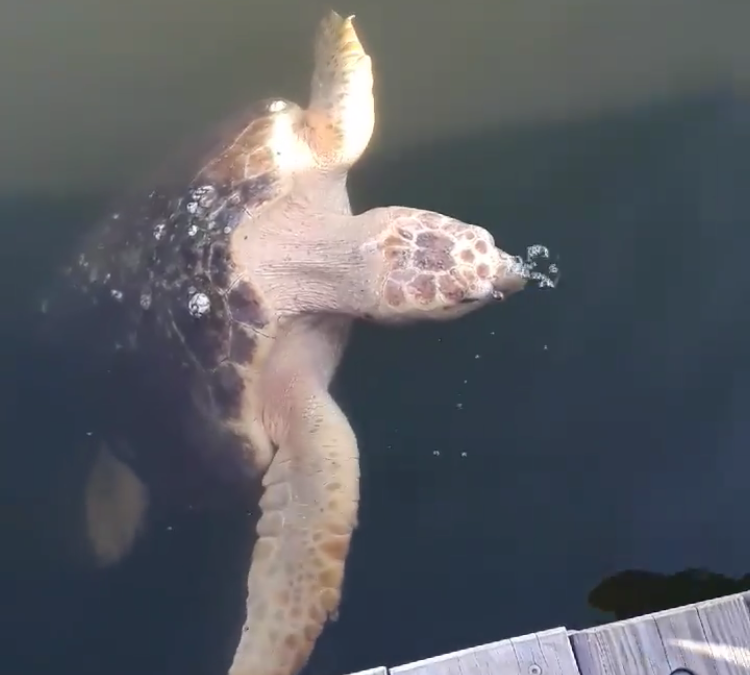 The aquarium plans to release Kellam back into the wild once the waters warm up.